Climate Control’s trained technicians are by far the best when it comes to servicing Carrier VVT controls. 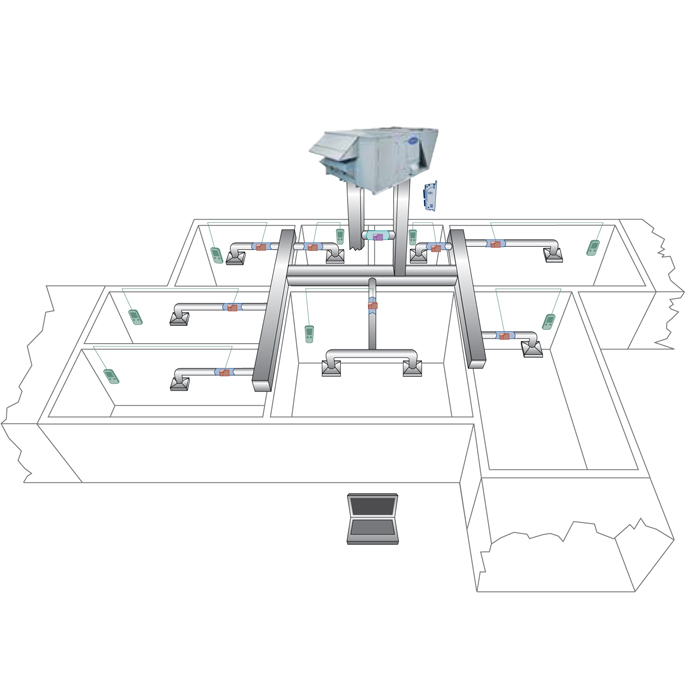 Carrier VVT is a control system that allows one AC/Heat unit to service multiple zones or offices. Without such a system when your building is heated or air conditioned by rooftop AC/Heat units, you only have one thermostat. The disadvantage of this is that the thermostat is sensing just the area that it is located in. It does not know what temperature it is in the other areas. This causes temperatures throughout the building to be colder or hotter then the area where the thermostat is located. The areas in the building that are most effected are outside walls or areas where there are large windows or areas where the sun can causes temperature to increase.